I found inspiration for this ossobuco recipe in the pages of Afield, one of my go to wild game cookbooks. 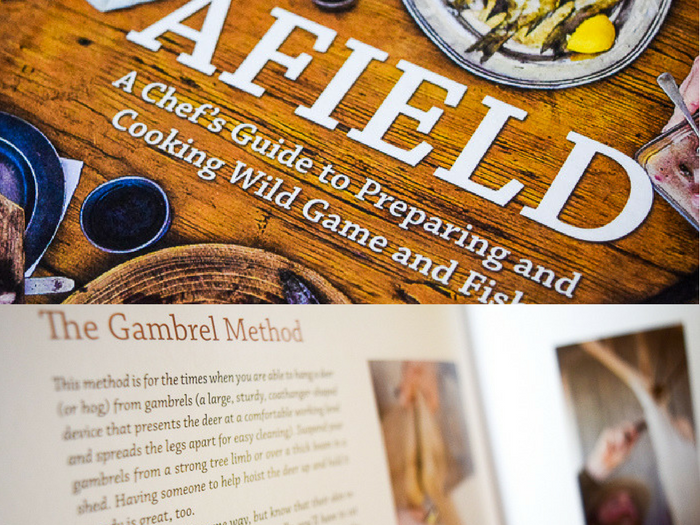 It is a collection of recipes and outdoor photography, with step by step guidance on how get your food from the field to the table without sacrificing taste or sophistication. I recommend it to all you lady hunters out there. 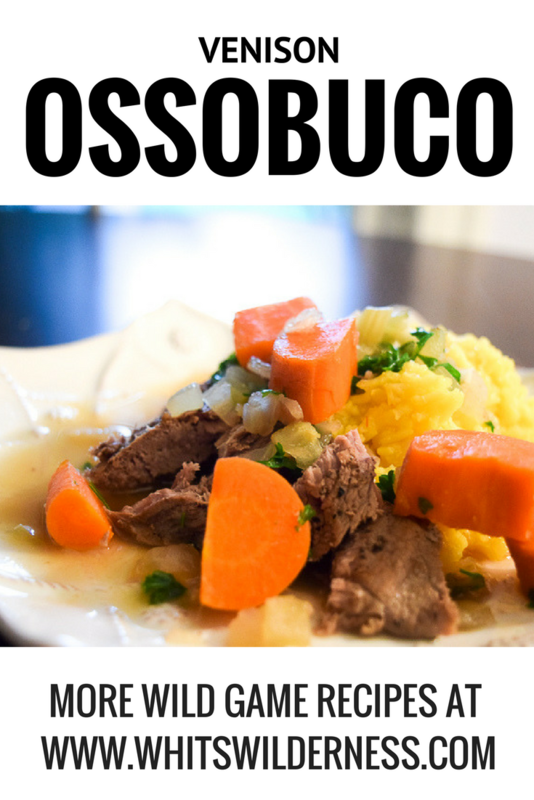 Aside from being a fun word to say, ossobuco is an Italian dish traditionally made with veal. 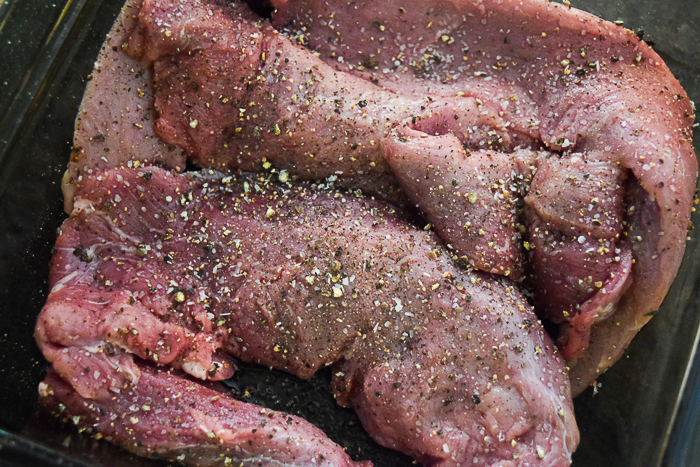 But, since we’re kind of into wild game around here, I’m substituting venison backstrap. 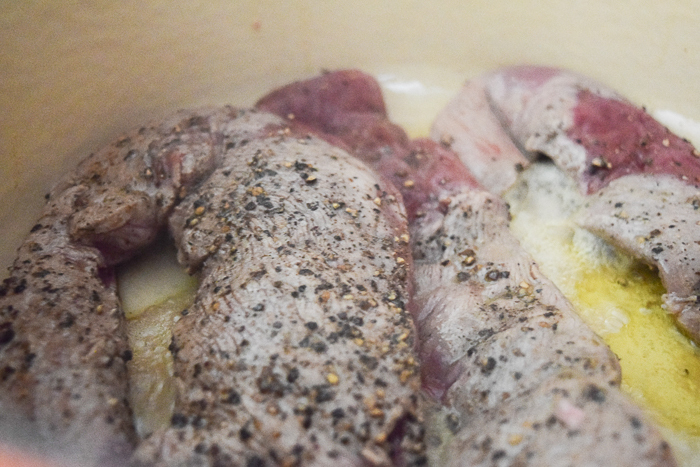 And I changed it to be done on the slow cooker. 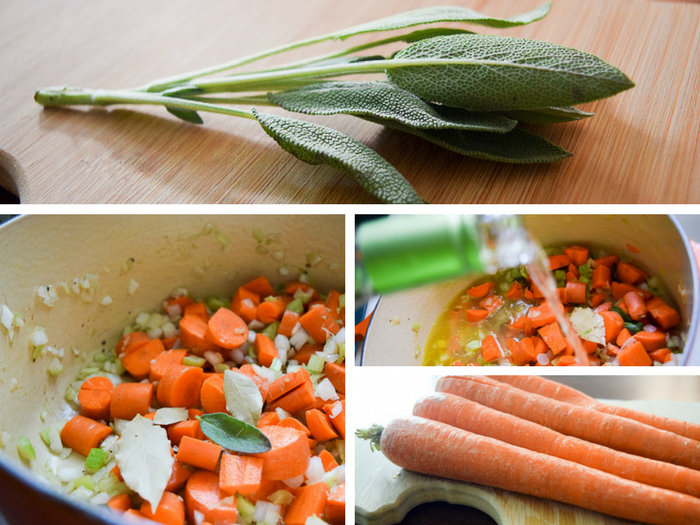 Pour in the chicken stock and wine, and bring to a boil. Cook on low for three hours until done. 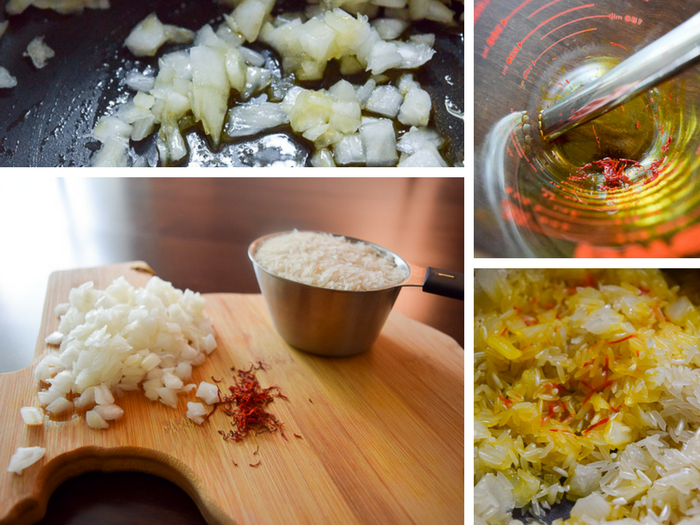 Crush the saffron threads with a mortar and pestle if you have it, or the end of a fork and a bowl will do! 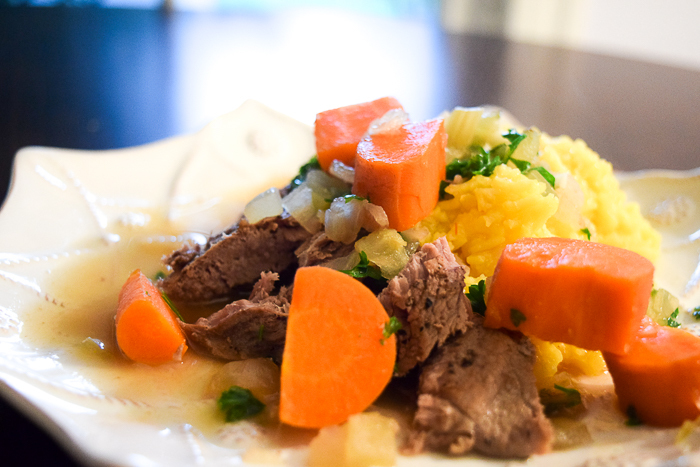 No Replies to "Venison Ossobuco with Saffron Rice"